How To Find The Best Dog Food For Labs? All dogs have the same basic nutritional needs, but not all breeds are the same and not all can eat the same type of food. Labrador Retrievers are prone to obesity, allergies, and bloat so you should take these things into account when you are hunting for the right food. What Are The Specific Needs Of Labs? Mid to high levels of protein: This is a very active and energetic breed that needs optimal amounts of proteins for normal function and healthy muscles. Low or moderate levels of fat: Although they are very active, Labs are prone to obesity. In order to keep your dog on his healthy weight, you should choose moderate levels of fat for optimal energy and healthy weight. Grain free or wholesome grains: This breed can also develop food allergies, in most cases they are meat related, but can also be caused by grains. If this the case you should look for grain free formula. How To Feed Your Lab? It is up to you to decide what type of diet is the most convenient for you and your pooch based on his individual needs. But when it comes to the type of food, there are two ways most owners prefer, dry kibble or raw food. Dry kibble:This is the most popular food choice and it is no wonder since kibble is more economical and easier stored than other food types. It is also convenient to already have a complete and balanced diet and the appropriate amounts indicated on the label. Raw food: This type of food is based on the ancestral diet of dogs, and has various benefits, from better-looking skin and coat, to weight management. But it’s time consuming to prepare dog meals at home, and this type of diet is also pricey. There is not one best dog food for Labradors and either way you go, you can’t go wrong. Just make sure if you decide to go raw that all of your dog’s meals are complete and balanced. How Many Times A Day A Lab Should Eat? Puppies: Need to have four smaller meals during the day. Ideally once on every three hours for a healthy digestion and feeling of fullness. Adult: Most owners feed their adult dogs once a day, but when it comes to Labs it is advisable that they have two smaller meals. They tend to eat too fast, and one larger meal can cause stomach problems or bloat. Senior: We advise you that once your Lab puppy is an adult you precede giving him two smaller meals for the rest of his life. So give your senior dog breakfast and dinner unless you are instructed differently by your vet. What Are Food Related Concerns With This Breed? Every breed has its special health issues, some of them genetic some of them caused by bad nutrition. Labs are prone to several health problems that can be avoided with the proper nutrition. Obesity Even though this is a high energy breed there are more and more obese Labs every day. In order to keep your dog healthy and his weight under control, he needs to be active every day and to eat high-protein low-fat food. If your dog is already overweight you need to reduce his portions and include more activities. If that doesn’t work you need to find a special weight loss formula. Allergies Some of the symptoms of this condition include itchy skin, rashes, and red spots. If you notice any of these signs you need to take your Lab to the vet so he can determine the exact cause. If it turns out that your dog is allergic to food, some of the common culprits are chicken and beef. In case of your dog is allergic to grains like wheat and soy, he needs to be placed on grain free diet. Bloat Large breeds and dogs who eat very fast are affected by this condition which causes the stomach to swell and twist. This can cut off the blood supply to the organs and lead to death. The best way to prevent this from happening, are smaller meals, no activities for an hour after the meal. Also, a raised bowl can help. Now that you know a little bit more about this breed’s dietary needs, we will proceed with the review part and our suggestions for best dog food for Labrador Retriever. You should also know that there isn’t one best food that will work for every Lab, and our choices will let you know what to look for. Grain free is a marketing strategy. Do not feed grain free products! Reports of increased heart disease in dogs in last 6 months by Veterinary professionals and cardiologists. 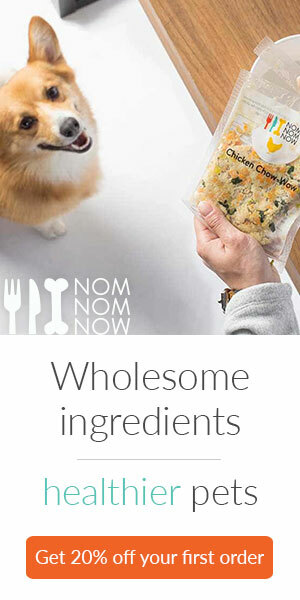 Common thread is dogs are on grain free diets. FDA, universities and pet food companies are investigating.